Hey folks, Valkor here. Growing up, I was a huge fan of the Looney Tunes cartoons; Bugs Bunny, Daffy Duck, Elmer Fudd, Sylvester and Tweety always ended my Saturday morning cartoon feast, which would make Looney Tunes the dessert on my animation smorgasbord. 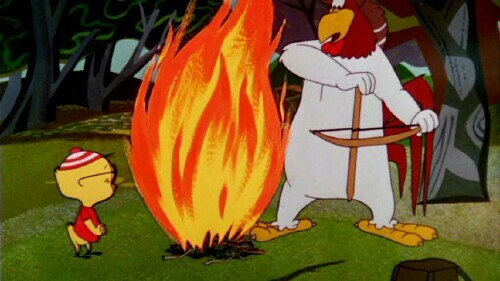 And Out of all the characters, one stood above all else, when it comes to side-splitting humor, and to me it will always be Foghorn Leghorn. 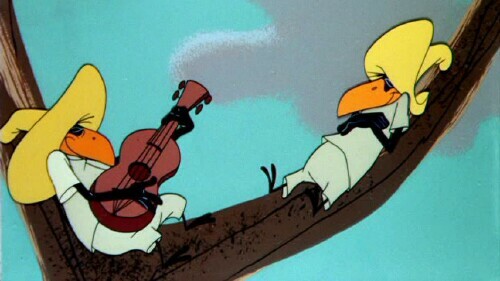 And thanks to the folks at Warner Home Video I get to enjoy the comedic stylings of my favorite barnyard fowl again and agan with "Foghorn Leghorn and Friends", a part of the "Looney Tunes Super Stars" series. A Broken Leghorn – When Prissy can't lay an egg, Foghorn steps in, stealing an egg from another chicken and propping it under her. 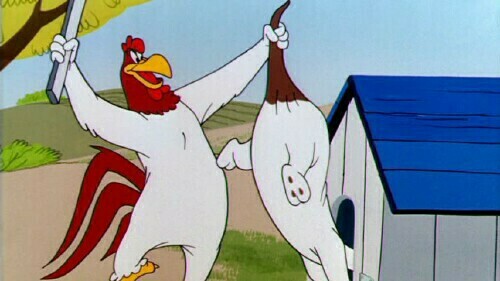 Unfortunately for Foghorn, it's a baby Rooster who's lookin to take over his job. Banty Raids – A beatnik rooster sneaks his way onto Foghorn's farm by posing as a baby to get at the chicks. Hilarity ensues. 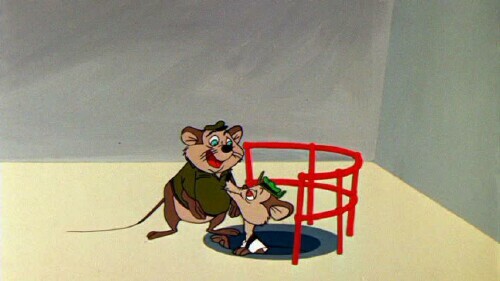 Two Crows from Taco – Jose and Manuel, the two crows from Mexico, attempt to catch a grasshopper. Nuff said. All Fowled Up – Henry Hawk makes an appearance in an attempt to gets himself a chicken. And guess who's on the menu? No extras on the disc, but each short has been digitally remastered to give the best possible audio/video presentation. Oh and before I forget, there's a disclaimer involved with this disc in regards to to some of the characters being "a product of their time". 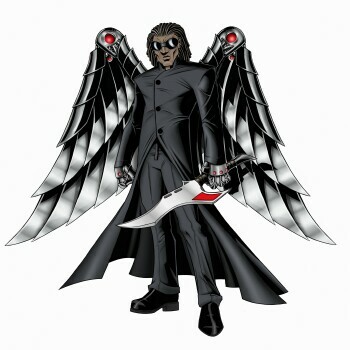 So if you're put off by a cartoon that pokes fun at racial and ethnic prejudices, then you'll wanna pass on this one. But if I can let it go, so can you. And with that let's get it in with the TOV Breakdown. This is one disc that's a cant miss, especially if you're a Looney Tunes fan. 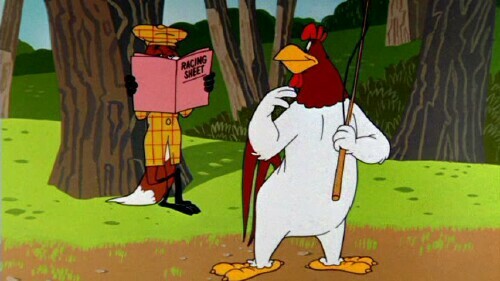 Foghorn Leghorn has always cracked me up and enjoyed the hell out of this disc. What I like most about this disc is that each short is really short, so you can watch em in doses, instead of just one sitting. The laughs are totally off the wall (who doesn't at least crack a smile when Foggy spanks that dog? ), and it gets better as the material plays out. Faces when they see the Mexican crows or the gay gophers; again, a product of their time. Just enjoy it. 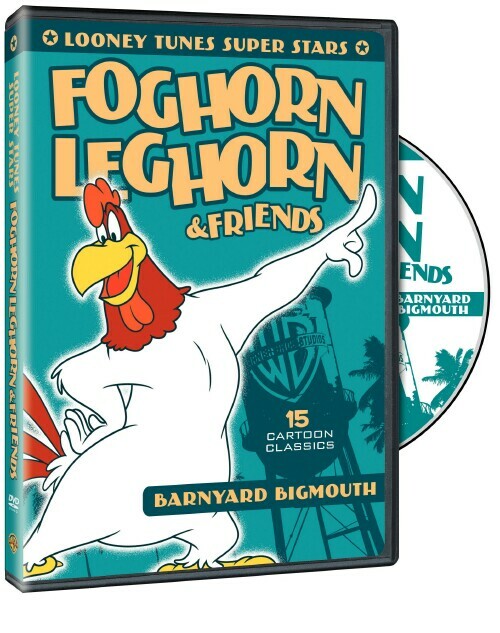 Foghorn Leghorn and Friends DVD is out now in stores, and it's a definite pick up to add to your collection. Regardless of the racial humor, this is one to watch because cartoons aren't made this way anymore. And out of TOV 5 stars, I give this set a 4.5 and it's been Valkor tested and TOV Approved!